For the life of me, I can't imagine 4 people in a civic for that trip. However, if it were me, I would mount a receiver to it (I have one on my Honda Fit, so you can get them). Get a rear luggage rack for the receiver. Bolt on a fork mount. Then get a bike cover for it. You're bike will be fully protected (With no little/no wind drag) for probably around $200-250. There should also be some room on the rack for other items for transport. Renting a minivan might be the most cost-effective option. Or just buy one. I'm without a minivan for the first time in 20 years, since my Toyota Emasculator died. I really miss that thing. Using this method would taillights be visible? None of us are on the bigger side so it was comfortable for us. I make an annual trek from Ontario to Florida each year. The interior of the car is packed so no room for bike. Is there a hard case bicycle carrier carrier that will fit on roof racks? I do not want my bike subjected to salt, rain or other road grime. I have seen the bicycle carriers for air travel but don"t know if these would work. I may be doing the wrong searches but I can"t come up with anything, so any help is appreciated. The problem was not his question, it was that you decided to give him advice on something he was not asking about. Last edited by alcjphil; 03-24-18 at 07:05 PM. He was asking for suggestions for a bike carrier for a roof rack. What does it matter wether it was a honda civic with 4 people in it, or how long of a trip it was? Last edited by Kapusta; 03-24-18 at 07:29 PM. I have seen square rooftop carriers. I'd imagine that you could squeeze in 2 or so bikes in the carrier. However, I doubt you'd be able to squeeze 4 bikes in there, unless they are toddler bikes. 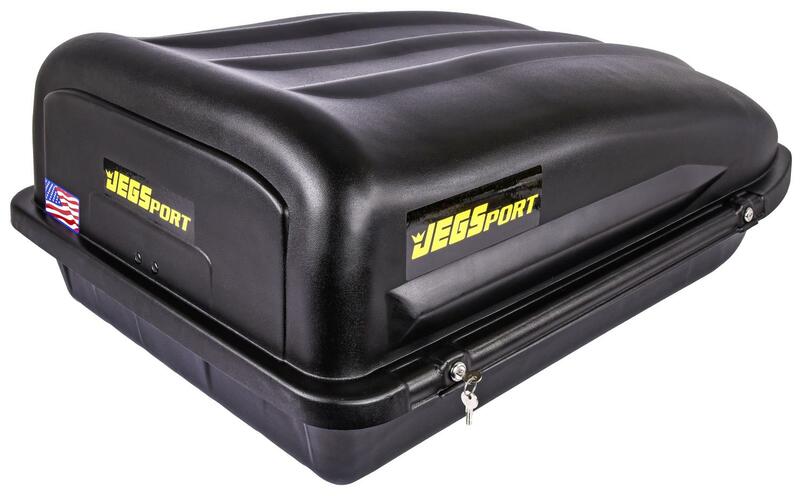 It probably won't work on a Honda Civic but a co-worker has this hard case on her CR-V for her bikes. That makes me think of a small trailer. You'd have to shop around to try to find one that would suit your needs to carry bikes, and perhaps also general use. This one looks cool, but I'm sure there are many others too. I'm having troubles telling the dimensions. It would be a long tow for a small car, but I'm hoping your Honda isn't a 1970's model. [QUOTE=CliffordK;20243647]I have seen square rooftop carriers. I'd imagine that you could squeeze in 2 or so bikes in the carrier. Read the OP and follow ups again. Only one bike. Ahh, so the 4 people was a bit of a red herring. So, I'd think one of those squarish rooftop carriers would work well. Probably remove the wheels, then hopefully it should fit without too much more disassembly. Then find a bunch of soft stuff to pack with it. And, it would give some extra room for additional cargo. Last edited by CliffordK; 03-25-18 at 01:15 AM. It is pretty relevant to be able to answer the question fully. Many people posted alternatives to a bike carrier for a roof rack because of this background information. Probably the most obvious counter to your question would be this. If it were only a short trip with 1 person, then he likely could have broken down the bike and fit it inside the car. Not allowing for alternatives based on more details would really limit possible solutions that hadn't initially been considered. I'm really not sure. I've mounted a bike like this before, but not with a cover on it. It would depend on the size of your bike as well as the width of your car. I would probably use bungee cords to strap it snugly to the frame. I've never tried this, but variation you could do is to get two fork mounts (one for a fat bike) that could work in the rear of the bike. Having both wheels off would definitely reduce the width of it...just account for the low BB. Then you could strap the wheels to the frame. He clearly stated the car was full, with no room for the bike inside the car. I would consider that piece of info to be everything one needed to know, in order to know that it was a waste of time to suggest he put the bike in the car. That's good for you. Others feel differently...and that's ok. For me, a car full of people is different than a car full of stuff....since you can possibly put stuff outside of the car (roof, truck rack, etc. ), but you can't do that to people. That's great that you had enough info to make give an opinion. Don't crap on other people for asking for more details. Aren't we here trying to reach the same goal? Last edited by ctxcrossx; 03-25-18 at 09:43 AM. I am not crapping on anyone for giving whatever advice they want. I was taking to task one responder in particular who seemed to feel that the OP was responsible for justifying, to his satisfaction, why the car was too full to put the bike in it, and was chastizing the OP for not premptively doing so. Give whatever advice you want, but just know that when it is un-asked for, you may be wasting your time. When I suggested he consider not covering the bike, I knew that I was not answering his question, so I have no expectations that he explain his reasons why he wants it covered, and I am sure as heck not going to ream him out for not doing so.